Which foreign language should I learn? You will benefit from learning these useful languages! Learning a new language is a significant investment not only from a linguistic point of view but also from an economic point of view. Speaking a foreign language will grant you a better position among your competitors. Moreover, communicating with the locals in their language signifies effort that is appreciated anywhere. Studies have revealed that German is among the most popular destinations for students from abroad and more than a quarter million foreigners have been enrolled in German schools. Above that, the language is not only lucrative in academics but also economic wise. Germany has been described as an economic powerhouse and is the fourth largest economy in the world. The country hosts numerous international corporations and receives tremendous recognition in innovation and advancement of new technologies. Communicating with your German business partners enhances the chances for effective communication and professional relationships significantly. Possessing German skills on the resume and in practice is advantageous for business networking and taking advantages of presented opportunities. Internationally recognized brands like Siemens, Volkswagen, Adidas, and Lufthansa are among the global economic players. The country is also home to some of the grandest international trade fairs such as CeBIT. Furthermore, Berlin has transformed to an innovative hub for startups. This has empowered Germany as an ideal place to enhance career opportunities. An understanding and an ability to speak German grants a foreigner living in Germany an opportunity to unlock job opportunities since most companies require some primary language or proficiency in German. Chinese is another prestigious language that is worth learning. The language is a source of personal and professional growth. Moreover, it allows one to interact with one of the most exotic cultures in the world. Research has shown that approximately 1.197.000.000 people speak the Chinese language around the world. It is used in different countries including Malaysia, Taiwan, Singapore Indonesia, Brunei and the Philippines. It is therefore also widely used in business. The fact that Mark Zuckerberg is wowing audiences globally with Chinese skills is an indication that the Chinese language is good for marketing and social networking. Learning the language is satisfying and enjoyable, and it will further enhance one’s artistic skills. Having been described as the world language, French is a language that is spoken by more than 220 million people worldwide. Similar to English, French is taught in every country globally with a substantial international network. One major reason to embark on learning French is having an advantage on the global job market. An ability to speak the language opens doors to French companies. France has been ranked as the world’s sixth or fifth biggest economy (before and after the Brexit). Furthermore, it ranks third in the destination for foreign investment, which makes France a critical economic partner. Learning the language is thus a business tool and an advantage to any business person. In addition, the language is very melodic and fun to learn. A language that opens up the world and a language that opens doors to numerous and limitless opportunities. Research indicates that there are 400 million native speakers of English and is spoken in more than 50 countries. An ability to fluently converse in the language increases the chances of landing a desirable job in a multinational company. The language helps any person in their career pursuits since it is a language that is hugely desirable to employers. Apart from luxurious business prospects, English is a language widely used in academics. It will open doors to many of the best universities in the world. Language and culture are intertwined, and an understanding of the English language will give you an understanding of the culture. This will grant you more insight into how people think, live and work. Russia does not have to be a world away. Although Russian is one of the hardest languages to master, it is a beautiful and interesting language with a rich variety of vowels. It is what makes the language melodic to foreigners and makes one feel as if they would carry a tune yet they are not singing. The economic opportunities in Russia are gradually on the rise. Learning the language places one at a better position to run their business in this country since not many foreigners are willing to take their time and study Russian. Among the countries that speak Russian are Belarus, Ukraine, Uzbekistan, Kyrgyzstan, Kazakhstan, Tajikistan, Turkmenistan, Armenia, Azerbaijan and many others. Mastering Russian gives someone a sense of accomplishment and a great feeling in putting sentences together. Additionally, Russian is a language for the future. Now would be the perfect opportunity to learn the language. It is incredible how different languages can hold so many benefits. Learning a new language is a platform that can open doors to numerous opportunities in academics, business and in one’s social life. 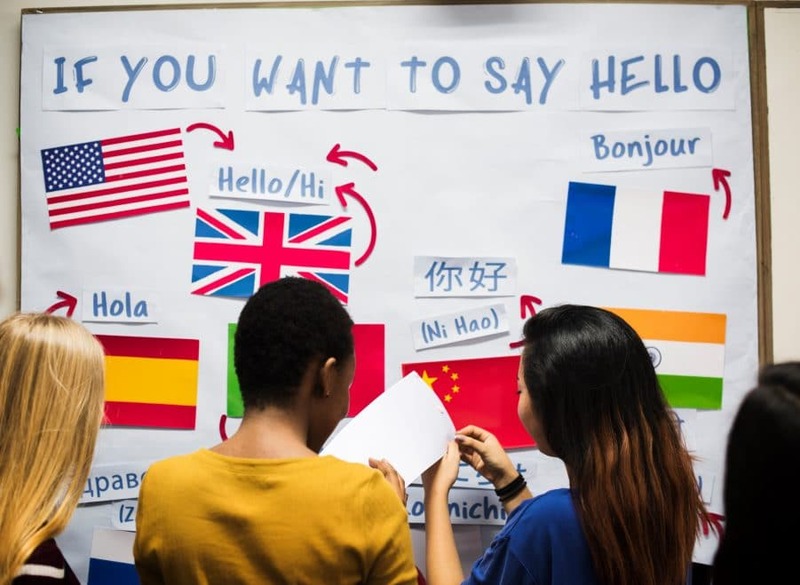 Therefore, identifying the best place to learn the chosen language is a critical factor to get the best support throughout the process of studying. Learning a foreign language requires commitment, dedication and a willingness to learn. Do not hesitate any more, take the chance and equip yourself with the skills of a new language to experience its advantages. Once you learned one new language and experienced the benefits, it will compel you to learn another language. Enjoy being part of diverse cultures and view life in a different and interesting perspective. Check out our portfolio of individual language courses at Wortland.com. The one-to-one lessons and our unique WORTLAND method offer you the best support to master and benefit from your new language in no time.